Web Browser News - Browser Watch - Web Browser News as it Happens! Opera appear to be hard at work on their desktop browser, with the release of Opera 11 Alpha for Windows, Mac, and Linux – which for the first time includes extensions support. Also new in this release is an increase in browsing speed, thanks to the updated Opera Presto engine. The browser also supports disabled plugins on page load, until the user clicks on them to become enabled, which can dramatically help with page loading speeds. 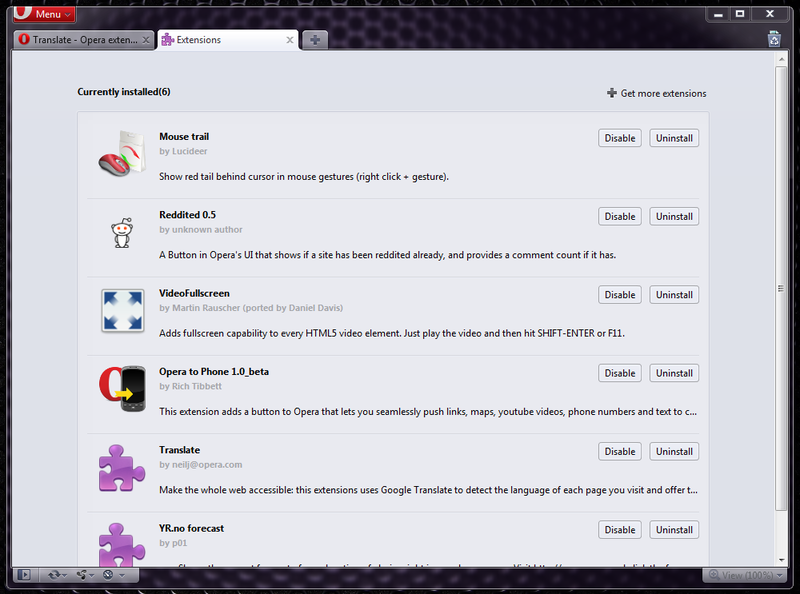 Opera 11 also includes a new mail panel which gives users greater control over how their mail items show up. Additional HTML5 support has also been added, including server sent events and websockets. Willing testers can get a sneak peak at the next generation browser by heading over to the Opera Next website. Mozilla have released Firefox 3.6.11 fixing nine security issues, five of which are rated as critical. A further two are rated as high severity, with one moderate and one low. More details can be seen in the latest security advisories. The release also includes a handful of bug fixes, increasing the browsers stability. A full list of changes can be read in the release notes. 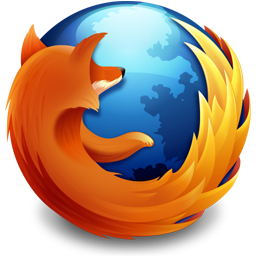 Firefox 3.5.14 was also released fixing several of the same security flaws. Current Firefox users will receive the update over the coming days, or alternatively can download the latest version of the browser from the Firefox website. Google have announced the seventh version of the Chrome browser which has now been released to the stable and beta channels for all platforms, including Chrome Frame. The new release, version 7.0.517.41, includes hundreds of bug fixes, an updated HTML5 parser, a new file API, and directory uploading via input tags. Several security fixes are included in the release, one of which is rated as critical, with a further five rated as high. Full details on these fixes are available in the Google Chrome Releases Blog. Current Chrome users will receive the release automatically, while new users can download the browser from the Google Chrome website. One of the worlds most used mobile web browsers is headed to Android devices. Opera Mobile – the fully featured father of Opera Mini – will be free of charge. Opera Mobile uses the presto layout engine, coupled with Opera’s Small Screen Rendering technology which dynamically reformats web pages for small screened devices. There is no release date yet, but users can already download Opera Mini for Android today. Opera Mini is already installed on over 71 million hand held devices. Below is a video demonstration of Opera Mobile which was shown over at TechCrunch. Mozilla has a new CEO, Gary Kovacs, who has worked for Adobe, Sybase, and Macromedia in the past. Kovacs has plenty of experience, and will be a fresh face for Mozilla in the future. Kovacs appointment comes as John Lilly steps down officially on November 5th, after a six month hunt. The Mozilla Blog has posted a short video introducing Kovacs. In just a few days, Microsoft’s Internet Explorer 9 (IE9) Beta has been downloaded a staggering 2 million times. “The initial reaction has been pretty overwhelming, and we are very humbled by the response our customers have had. In first two days, over 2 million people worldwide downloaded IE9 Beta” wrote Microsoft’s Roger Capriotti. This compares with only 1.3 million downloads of IE8 Beta in 5 days back in August 2008. Microsoft is yet to announce a release day for the final version of Internet Explorer 9. Google has released another update for Chrome users, taking both the stable and beta channels to version 6.0.472.62. The release comes just days after the previous release, and fixes three new security bugs. One is rated as critical with the other two are rated as high risk. Full details can be seen on the Google Chrome Releases blog. Windows, Mac, and Linux Chrome users will receive the updating in the coming days. With the release of Microsoft’s Internet Explorer 9 Beta yesterday, IEBlog has taken a look at the history of the Internet Explorer logo, celebrating it’s 15 year history. The article explains the origins of the logo, and shows development throughout the life cycle of creating the now infamous browser logo. The below picture really sums it up. The full article can be read on the IEBlog. 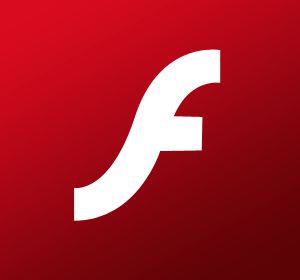 To coincide with the release of Microsoft’s Internet Explorer 9 Beta yesterday, which comes in both 32 and 64-bit varieties, Adobe has released Flash Player 64-bit Beta for Windows, Mac, and Linux users. The move brings complete 64-bit browsing one step closer, with 64-bit versions of Internet Explorer 9, Firefox, Safari, Opera and Chrome available on select platforms. Video playback issues may appear on certain websites such as Hulu.com, Audi.co.uk, and nbc.com. Mouse interactivity in the Settings UI dialog does not work using Internet Explorer 9. Keyboard navigation works as expected. Please pardon our dust. Internet Explorer 9 is not yet final. As such, Adobe is continuing to work with Microsoft to resolve critical issues before the final release of Internet Explorer 9. Adobe Flash Player “Square” 64-bit can be downloaded form the Adobe Labs. Along with Firefox 4 Beta 6, Mozilla also released Firefox 3.6.10 to the public. The release fixes a single stability bug, which caused some users to crash. More details can be read in the release notes. The update is available for Windows, Mac and Linux users, and Firefox 3.6.x users should receive the update in the coming days. Firefox 3.5.13 was also released fixing the same bug.